Sunday June 4th there will be an event that shakes the bounds of time and space. 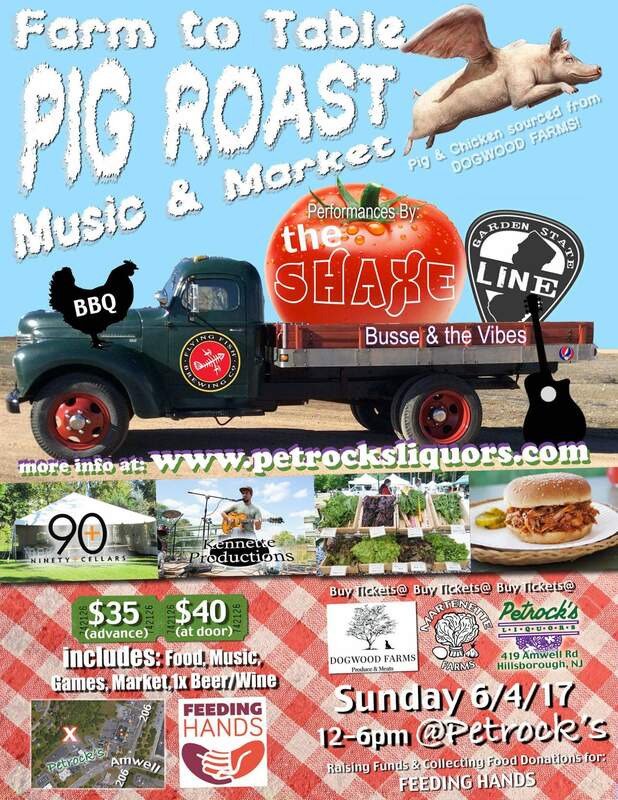 The 1st Annual Petrocks Farm to Table Pig Roast Music and Market! Dogwood Farms has picked out their prized pig to be prepared by the renowned pit master, John Duke. There will be side dishes prepared by Culinary Creations, a beer truck with Flying Fish brewery, 90+ cellars will be making the evenings signature cocktails using fresh herbs from Martenette Farms, and Kennette Productions has the big green stage truck in position and outfitted for performances by the Shaxe, Garden State Line, Busse & the Vibes, and More! The intention of this event goes far deeper than the obvious eat, drink, and be merry theme. It’s about infusing community together with culture, quality food sources and spreading the bounty to those who need a little help from our friends. In fact, part of the events proceeds will be donated to Feeding Hands, an organization that helps to feed families in need. They will also be collecting canned goods at their vendor booth so feel free to bring donations if you’ve got them!